MAKE ME UP (PART 2) - I Blog, Therefore I Am. This is part 2 of my review for the search for the ultimate wedding hair and make-up artist. Here's the link of Part 1 which is consist of reviews for Malou Hibaler, Michael Celestino, and Jasmine Mendiola. The Part 2 is for my trial make-ups with Bea Almeda and Eds Go. Bea is another another Getting Married Bridal Fair find. I was able to get her flyer at the fair and I find her bridal looks beautiful. I scheduled a real trial make-up with her a week after the fair at her Serendra studio. Bea is the Chief Make-up Artist of Canmake and graduated from Makeup Designory. She is also an expert on avant garde make-ups aside from weddings and fashion editorial. Bea is nice and very easy to talk with. We tell each other stories while she was putting on my make-up. One of her studios is just in Serendra and it's near my place. She is a great person to work with. Bea used imported make-up brands on me like Mac, Make Up For Ever, Urban Decay, and Bobbi Brown. Bea is the best in face contouring among all the make-up artists I tried. She used a different technique on me and it achieved a slimmer face. She is a very thorough make-up artist. She really covers every part of the face and ensures that every blemish is taken care of. She did my make-up and hair for almost 2 hours. Worth every penny for all her efforts. Bea is also very technical and its very evident that she is a professional. You can never go wrong with her. Plus - she offers pre-nup styling with her make-up packages. Bea used a combination of airbrush make-up and traditional make-up on me. She blended and contoured first prior to finishing in with airbrush. The make-up stayed on with me until late in the evening and it blended very well with my skin. One of Bea's unique technique is the use of airbrush on the lips. She told me that this will make the lipstick last longer and better. She advised me to get hair color and extensions for the wedding day. She can get the hair extensions for me for an additional cost. I actually love the make-up she gave me. The blending of the eye shadow are really nice and I love the contouring she made. The eyebrows are kind of thick though plus the under eye make-up is kinda heavy. The look is good for events, awards night, etc. I definitely kept her number in my book for future Smart events. 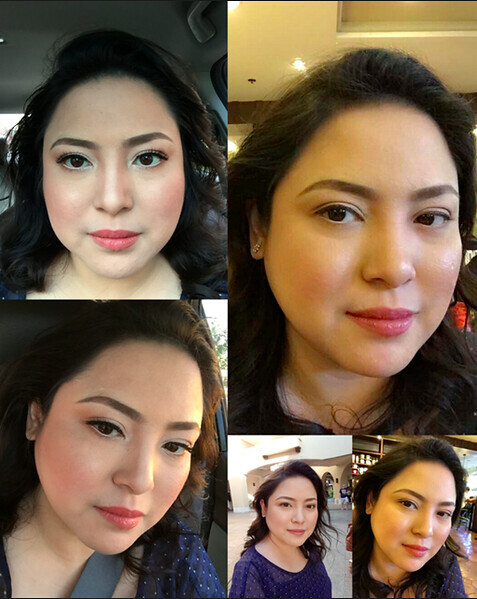 Pre-nup Make-up is Php 7,000 for 2 looks, Php 10,000 for 3 looks, Php 15,000 for 3 looks with styling. Catch Bea at bridal fairs because she really gives huge discounts! Eds Go is a GirlTalk find! I've been reading so many things about her in the forums but only got interested when I saw one of her brides when I was researching for videographers. She doesn't have a website but her Facebook and Instagram pages are very rich with before/after photos of her brides. I was instantly smitten by the "magic" and had high hopes for her to be the "one"! She did not participate in any of the bridal fairs so I scheduled a trial make-up with her. Eds is a new make-up artist who got into it because she loves beautifying herself. Eds is very bubbly, nice, and very pretty! She makes you feel good about yourself. We had a fun time discussing MJ Lastimosa and her heartbreaking loss at the Miss U.
Eds' make-up are imported ones - the usual MAC and Make-up For Ever variety. First thing she did was advise me to use a make-up remover after since she uses silicone-based airbrush. These kind of silicone formula go straight to the pores according to my Beauty Blogger friend, Angela. 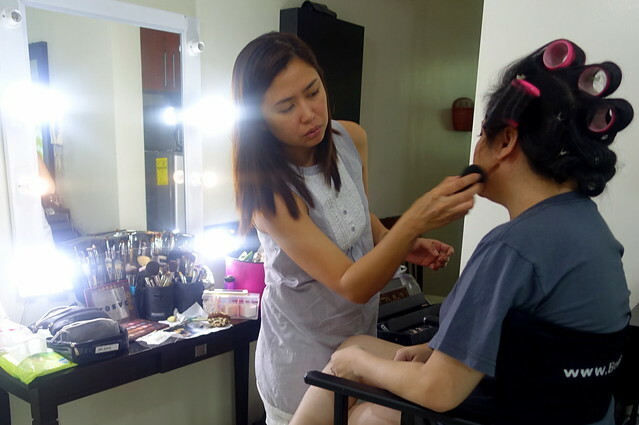 The make-up session with Eds lasted for an hour at her make-up studio in Las Pinas. I really took time to have a trial with Eds. She was very busy especially last December/January but she replies a lot in Facebook. Eds' studio used harsh white fluorescent light so I was a bit overwhelmed with the make-up at first. But - as you can see in the photos - it gets better and better as it goes along. It blended well with my skin and produced the bridal look. Eds told me that the no-make-up look might not suit me so she did some blending with the eye shadows. She also took time in polishing my eyebrows. She advised me not to have it threaded before the wedding or the pre-nup shoot because she will take care of it. I don't have a "make-up brief" when I had my trial with Eds. I just told her to do her magic on me. She played with feminine colors that are not usual to me. I was asked by Eds to buy 5 clip-on hair extensions for the wedding. She suggested that we use several pieces instead of one huge extension so we can play around with it - straight, curl, waves, etc. I love how clean and polished the make-up looks. It's definitely bridal. This is the one! Eds has an ongoing promo for February 2015 that can save 20 - 40%. I suggest that you book your trial make-up now and book! I really had fun with my make-up trials and I learned so many things with the HMUAs. 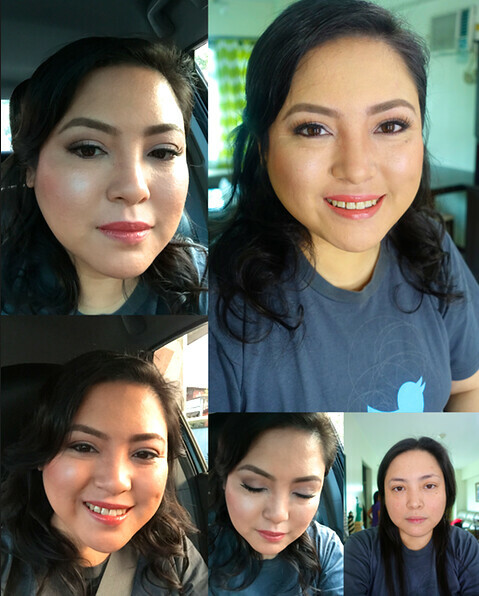 I went to the Weddings and Debut 2015 Bridal Fair yesterday at SM Megatrade Hall and was checking out make-ups for my entourage (it's never ending, guys! haha!). Celebrity make-up artist Bambbi Fuentes has a booth there and I inquired. Her rates are not too high especially for Manila. If you have money to burn, go for Celebrity Make-up Artists like Mickey See, Albert Kurniawan, or Denise Go. Mid-range make-up artists who are good are Madge Lejano, Mayone Bakunawa, and Cherry Pacheco. I would have gone for either of the three but Madge, THE ultimate bridal make-up artist, and Mayone are already booked on our date. Cherry's really good especially with chinky-eyed brides but I wasn't able to schedule a trial make-up with her. If you want the total transformation, check the work of Mariah Santos. I am personally not sold on the looks of her brides but the girls from the GirlTalk forum has very good reviews for her. Bridal fairs are good research grounds for make-up artists. I usually research on the HMUA who are participating before I go to a fair. I usually inquired from trusted and popular names but there are also good finds like Bea Almeda when you look around. Have trial make-ups during fairs since it will really give you perspective on how you should look in your wedding day. Plus - it's free! This might not be the end of my bridal make-up posts since I am now on the hunt for my entourage's make-up artists. I already inquired from Diane Coles and Nini Marquez on this one. Diane's portfolio is really nice plus she responds very well to inquiries. Thanks, April! Bea's supposed to do my entourage's make-ups as well but it did not push through. Bea's really okay. Say my hello! Thanks!